What is Systems Design Rhapsody - Architect for Software? 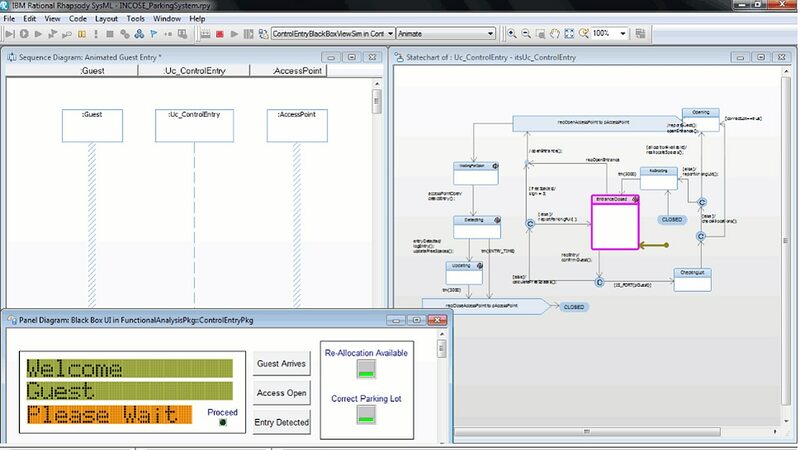 Systems Design Rhapsody - Architect for Software is a model-driven development environment for embedded software design that helps improve productivity, reuse and consistency with software visualization. It supports industry standards such as UML, SysML, AUTOSAR and UPDM and enables you to visually capture applications to automate manual coding tasks and communicate designs. The visual programming environment integrates design and development functions, and facilitates team collaboration for better and faster results. You can improve development productivity, lower costs through asset reuse and achieve higher levels of consistency in designs. Visual programming integrates design and development functions, and facilitates team collaboration for better and faster results. Embedded software engineering is designed to provide real-time automation to accelerate the development-to-implementation cycle. Collaboration is the key. Use model-based differencing and merging features, including integration with IBM Engineering Workflow Management.